The mayor of Wilmington eventually apologized, admitting that city officials “used poor judgment” when pressuring the Muslim group to leave. 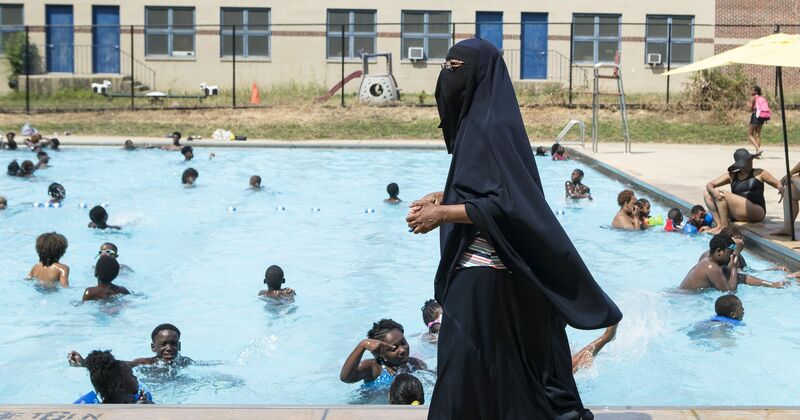 A bright summer day at a Delaware public pool took a dark turn after staffers began harassing Muslim children over their choice of conservative swimming attire. Female students from a local Islamic summer camp had been visiting the Wilmington pool for the past four summers. In following with their families’ strict interpretation of Islamic rules, many of the students chose to sport modest t-shirts, leggings and even headscarves. It was apparently never an issue. But last month, during a regularly scheduled visit to the pool, a manager confronted the group and informed them that cotton clothing was forbidden in the water. Feeling pressured to leave, they packed up their things and went home disappointed. Camp director Tahsiyn Ismaa’eel took particular issue with the way the situation was handled. “If you are making us so uncomfortable that we aren’t enjoying a public facility, if you’re pressuring us by asking what time we’re going to leave … I got the message,” she explained. She followed up with Wilmington’s parks and recreation department and was assured the incident had nothing to do with religious attire. But when they tried to return, the same thing occurred. In fact, it happened on three more separate occasions – despite no visible postings of the pool’s rules about cotton fabric. This led Ismaa’eel to believe her kids were being unfairly discriminated against due to their Islamic beliefs. City officials initially told The Delaware News Journal the cotton ban was a matter of public safety, given that such a heavy wet fabric could strain the pool’s filtration system. 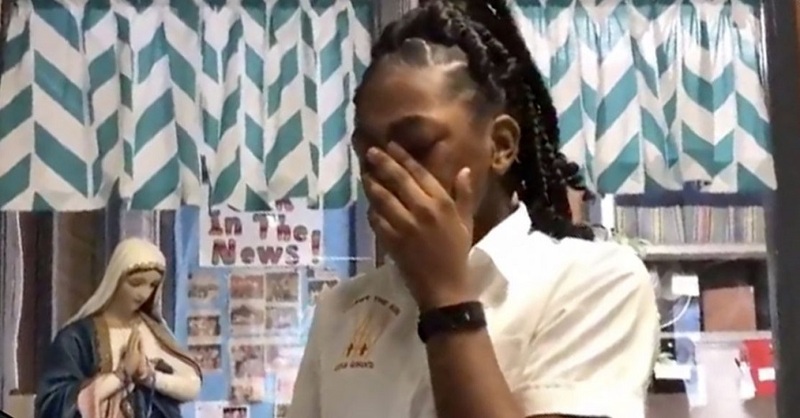 But in the end, the mayor of Wilmington was forced to apologize and admit that city officials “used poor judgment” when balancing the students’ religious clothing requirements against the rather obscure pool rules. The city is now planning to post signs clearly communicating that all swimmers must wear nylon, spandex or polyester swimwear. The incident, however, will surely leave a bad taste for anyone left wondering if Orthodox Jewish and Christian children – who are also encouraged to dress modestly while swimming – would have received similar treatment. Are Muslims Being Singled Out? Legislation targeting Muslim swimwear has swept across Europe in recent years, sparking intense debate in places like France, Switzerland and Austria. Numerous cities have banned the burkini (a swimsuit designed specifically for Muslim women) from swimming pools and beaches, citing reasons ranging from hygiene to safety concerns. The Delaware incident, however, shows that prejudice may be a greater factor behind such rules than we’d like to think. Are these restrictions really in place to protect public safety, or because we’re uncomfortable with another way of dress? My Caucasian-looking, Protestant niece wears long leggings, a skirt, a long-sleeved shirt (all matching as part of a “protection from the sun swimsuit”) and swimcap. Has she EVER EVER EVER had any problems with her choice of ankle to wrist to neck swim attire? NEVER! It is discrimination, pure and simple. Also, MANY (especially obese) people wear a cotton Tshirt over their swimsuits (men and women) in these indoor/outdoor pools, and have NEVER had a problem. Including my own family members. I believe we should wear what makes us feel comfortable when we are at the pool. PERIOD. Praying for understanding here, and for equality for Muslims and anyone who wears “different” swimwear. Blessings on ALL of them. Many Christians are embarrassed by our seeing in the sand statement. It only shows how undereducated you are about other countries. I am not sure why your bias exists. Maybe you are not aware they have swimming pools, ponds, rivers and lakes also to swim in. I do know that women have always had issues. Girls have to have swimsuits and boys swim in shorts regularly. I was botched at by a “lifeguard” about 16 yrs old because my daughter was in a toddler waiting pool with shorts on. He said she had to have a sure on. When I pointed out the boys are allowed to wear shorts he said well maybe they can’t afford a suit. I told him to call his boss then and I would report him for allowing boys to swim in shots. That shut him up. There is far too much discrimination against Muslims in this country and this has been made worse by Trump’s attitude towards them. People need to be more considerate towards them. They are, however, not the only ones who have been treated this way. Thanks to Trump, discrimination against blacks, Hispanics and other people who are not white, has become much worse recently. We need a leader who shows compassion, not hatred, towards anyone who is different. This also includes discrimination towards people of different religions. This is not the American way. There is just a lot of discrimination in this country. Everyone is discriminated against by somebody, yet most of us aren’t prejudiced, and the world isn’t too scary, so I don’t think I’ll be defecting to Mexico . Maybe those kids smelled like camel dung. How offensive you are! When I was growing up, one of my friends (caucasian) lived on the family hog farm. Who would be so disgusting to mock her? People like you. Are you an ordained minister? Really? A Person of Faith? A Person who shows compassionate leadership? Some people take everything too seriously. Besides that, everyone who has ever smelled both of them knows that hog dung smells much better than camel dung, my fine lady. As long as the enforce it when white boys are wearing shorts instead of swimming trunks… Now that happens all if the time and I don’t see people complaining. You do know the only reason the change to polyester swimming suits happen is because cotton is heavier when wet. It’s not any less sanitary. Women swam in cotton suits forever. I am almost 60 and we had cotton fabric swimsuits. Stop blaming Trump for the actions of a few. That man has been so misquoted it’s ridiculous! People hear what they want to hear, so when Trump says he wants better vetting for those coming from Islamic nations to stop the extremists from coming in, those people hear “Stop Muslims from coming in”. That’s NOT what he means. Also, Trump is NOT racist. He wants to stop illegal immigration. Is this racist because those walking/driving across the border are Hispanic? If we had an influx of Canadians coming here illegally, that would be stopped, too. I understand where the management of the pool is coming from. Cotton clothing will clog the filtration system if enough of it is being worn by many people at the same time. Believe it or not, they DO make modest swimwear for children and adults. I see it all the time with longer “dresses” and “shorts” instead of typical bathing suit bottoms. Also, many leggings are made of spandex and will work as well as the cotton ones to cover one’s legs. MIRANDA YOU ARE WRONG. THERE HAS BEEN FAR TOO MANY MUSLIUM ENTERING OUR COUNTRY AND NO ASSILMILATING. There IS a reason for the “NO COTTON FABRIC” rule, and it should be explained and understood, and posted clearly. It has to do with pool water chemistry versus the chemicals held by the cotton fabrics after washing. Those chemicals mess with the pool waters own chemistry and can cloud the pool even after just one visit. Explanation, posting, understanding, and a bit of tolerance would go a long way in keeping heads cool. The safety concern should also be posted then the Muslim wear allowed at one’s own risk. The city officials do sound like they were targeting. Bad choice. We also need to stop using “weaponizing” everytime we feel offended. The word is being over used and used improperly. My husband worked with city pools for 30 years and he said there was never a problem with people wearing cotton in the pools. In fact, if their heads were covered it was a good thing because hair is the worst thing for pool filtration. So…. there are no safety concerns. Only those that have been made up for some reason. I bet peeing in pools clouds the water too, but everyone does it anyway, and nobody ever complains about it. I have never heard cotton clogs filtration system. Why would it flake at all? There are no more chemicals in cotton than there is in polyester. You can barely get true cotton anyone, it’s all a mix of fabric blended. I don’t think enough people wear cotton fabric enough to know that. They aren’t wearing cotton balls. I totally agree it’s our culture and experiences and our forgetting all people were cotton swimsuits at one time. There are many reasons for this rule and the accountability to the rules. 75% of the population will not ever think about the reason or understand why .They will simply cry, and point there fingers. Then the p. C. Crowd will be mommy and come running with the typical names and protests Why aren’t they at working? Because they get paid to protest by the kings and queens of the left. The majority did not bow to the minority. That’s religion, race, color, or creed Yet stays within the guidelines of our constitution. Strange how the Christian Bible and the constitution are hand in hand. As Reverend Krystina S. said, many people wear tees and other clothing either for sun protection or for modesty reasons. What “chemicals” could cotton be holding that no other fabric would? It’s never been a problem before, why now? It is weoponizing.Another example of living in the age of trump. (as understood by the idiot basket of deplorable minions that got him elected)..seems like an opportunity to me! 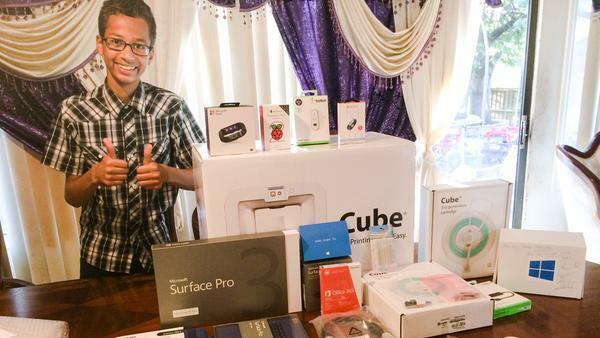 Someone is going to become quite wealthy by introducing a non-cotton line of Muslim attire! Well, my dad’s swim trunks are cotton blend. They are longer style. My niece’s outfit (from a VERY swanky store) was cotton blend. My 14 year old nephew who is special needs wears a diaper in the pool. Everyone can fit in. Everyone deserves a place at the pool. I cry when I think of the compassionate Mr. Rogers, who bathed his feet with a black man, and even helped wash his feet, sharing his towel in the most poignant Biblical sense. Intolerance and incivility go hand in hand. Nobody pays me or others to protest: in fact, people are jailed, injured, and even lose their lives in our Constitution-given right to protest. I think that the issue is the people who scream “Bible and Constitution” are the same who mock being “p.c.”, or appropriate and sensitive and compassionate. What would Jesus do? He would encourage swimming. He would celebrate differences. He would warn us about skin cancer, and remind us to Cover Our Bodies, to keep the Temple that is our human selves healthy. What he would NOT do? Mock people who wish to be modest or healthy. Mock people who are compassionate and sensitive and empathize with the “other-dom” that creates such vituperation. Personally, when I was a skinny kid, I preferred skinny dipping. That’s the best way to have fun with a group of youngsters in a swimming pool. And nobody ever complained. Now I sometimes get weird looks for riding my bicycle on theGalveston seawall wearing long pants, but father time and motorcycle spills have long since taken their toll so I’d rather seem odd than scare away tourists..
skinny dipping – OH MY! I my entire life have always strived to wear clothes only made from pure natural materials like cotton, silk, and leather. When swimming I tend to wear tai fisherman pants which are rough hand made cotton and very popular among yoga and martial art practitioners. They just feel better then synthetic materials. Ive never once when using my local pool been told my clothing is not allowed in the water. Granted I rarely use it as I prefer the lakes and rivers. This seems like another move by the not so closeted bigots to try and force their views on others. Maybe we should just ban all clothing in the public pools and go greek. No modesty for anyone. Sometimes taking it to the extreme is the only way to be fair. If one faction of people are not going to be allowed to wear what they want swimming then why should anyone get to wear anything at all when its not really needed. And people if you dont want skin cancer eat more sea food. Its loaded with iodine which is a natural way to help our bodies handle excess radiation of all sorts. I love your choice of words: “Not so closeted bigots to try and force their views on others”. I’m sorry, but if you were to go to a Muslim country, you would need to dress as they do (to an extent). Shorts? Forget it!!! I’ve had Muslim men and women shake their heads at me in disgust because I was wearing a tank top and shorts while on power walks…and that was in the US. So, I guess THEY are also “not so closeted bigots”. I am not a bigot in any way, but hate hypocrisy. If someone wants to have the right to dress as they feel is right, then they need to let ME dress the way I feel is right. It’s the same with anything in life. Live and let live…no matter what race or religion we’re talking about. Many public pools allow makes to swim in their shorts with no problem. It’s discrimination, but who cares, they hate us, remember one thing, try going to their country and not follow their rules and see how long you last going against their ways, but coming over here and living in Canada and the United States, all the bleeding hearts whine and moan about our so-called mosaic of cultures and every feel good crock the pc crowd hands out, big deal, someone asks you to follow a rule, so what comes naturally, bring out the discrimination card, like I said go to their “wonderfully diverse” countries and see where this would end up. SO true, like it or not. Anita, I have traveled through and lived in the middle east. I KNOW who I am talking about and WHAT I am talking about. Have you traveled throughout the middle east?? Who are the “they” who hate “us”? That is Xenophobia. “their country” and “their ways” would be quite diverse indeed. “coming over here” WHAT? Muslims have been in the U.S. BEFORE it gained its independence, called the “Musselmen” by the Founding Fathers. And welcomed. And fought and died for OUR freedoms. Including African Muslims, brought here in slave ships…. Yes, we are indeed a mosaic of cultures. Canada has welcomed people who might be Muslim as well, and your point is? I am from Ann Arbor, and Dearborn is a very large population of Muslims. They have been MY neighbors, MY friends, MY doctors, MY professors, lawyers, architects, engineers, scientists, my whole life. You probably meet many Muslims in your life, but don’t even know it because you are looking for “the signs.” LOL. Ignorance and bigotry go hand in hand. Wait until a Muslim medical specialist saves your life…. You can rant for who and what you want, forever there has been discrimination, and all of your parallels you want to draw about muslims and if I know them or not doesn’t matter, I’m voicing an opinion and what I feel is wrong, you don’t like it fine, but showing your disdain by name calling just makes you out for what you are, and so I don’t sound and act like you it ends with that. UUmm, The United States IS THEIR country. You are a bigot. People are not all in sync with governments. case in point: the U. S.
When did the U.S. become a Muslim country? I must have missed that, as for being a bigot, you don’t know me and those are pretty strong words because I don’t agree with every pc thing that makes up the course the migrant bully crowd wants. But being anonymous does give people a platform and so be it. Some fools even think the U.S. is a christian country. Go figure. You are ignorant. Or ego-centric and unsophisticated. When I was a young person, all male and female used the pool at separate times and any clothing was prohibited. This was policy at the YMCA and all other places to maintain sanitary conditions ; clothing retains residue from soap used in washing machines and/or hand washing. Nudists are just as persecuted at public pools. Now there’s a refreshing new angle . . .
I’m so sick of being PC’d to death . . .
Hey! Delaware public pool is tourist pool where many school children come and enjoy the environment. But last time there is a problem faced by the Muslim kids because they are kicked out. This is very bad behavior in the Delaware public pool but after that they apologized but now what happen. Just a cotton ban become the problem. After that the problem is solved out.